Recently, social media use has been rising among dental students and practitioners. The aim of this study was to investigate the usage, attitudes, and professionalism on social media among dental students and dentists in Saudi Arabia. 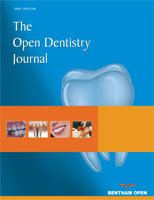 This cross-sectional study investigated 779 dental students, interns, and dentists recruited from university hospitals and private clinics in three major cities (Jeddah, Riyadh, and Dammam), representing the eastern, central, and western regions of Saudi Arabia. Validated questionnaires were distributed to the participants asking about the use of social media for general purposes and professional purposes, attitudes on the social media, professionalism on social media, and the use of social media for marketing purposes. This study was ethically reviewed and approved by the Faculty of Dentistry Institutional Review Board, Umm Al-Qura University with application number (102-18). Among the participants, the social media platforms most frequently used on a weekly basis are WhatsApp (m = 6.13 days/week, SD = 2.10), Snapchat (m = 5.33, SD = 2.65), and Instagram (m = 4.63, SD = 2.84). LinkedIn was the least frequently used platform. The most common professional uses were to watch clinical procedures (80.49%), find new information (79.59%), learn from peers (61.1%), and communicate with patients (5.76%). Only 47.75% followed their university or workplace professionalism guidelines, and 31.74% do not have any professionalism guidelines for using social media. There were 28.75% of participants who had considered posting information/photos about a patient without the patient’s permission, those who had criticized a dental colleague numbered 49.04%, and 59.69% had criticized a dental organization. However, only a few items had statistically significant differences between dental students and dentists. More stringent guidelines regarding proper conduct online should be implemented and included in the dental continuous education material. Keywords: Social media, Attitude, Professionalism, Dental students, Dentists, Saudi Arabia. © 2019 Aboalshamat et al.